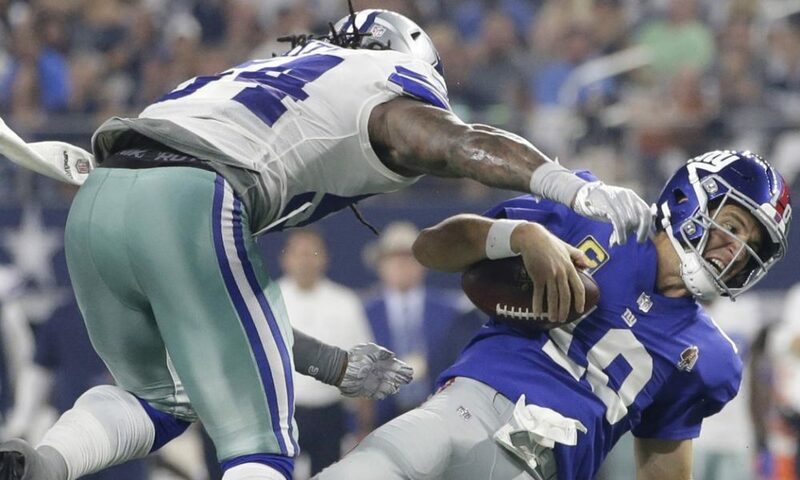 The Dallas Cowboys defense dominated in a win Sunday night over the New York Giants, 20 to 13. Tallying up sacks in the win and really controlling the New York offense in every way. 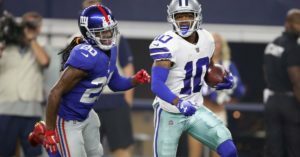 Byron Jones and the secondary of the Cowboys really kept Giants superstar Odell Beckham Jr. in check all night, holding him to just 4 catches and 51 yards. 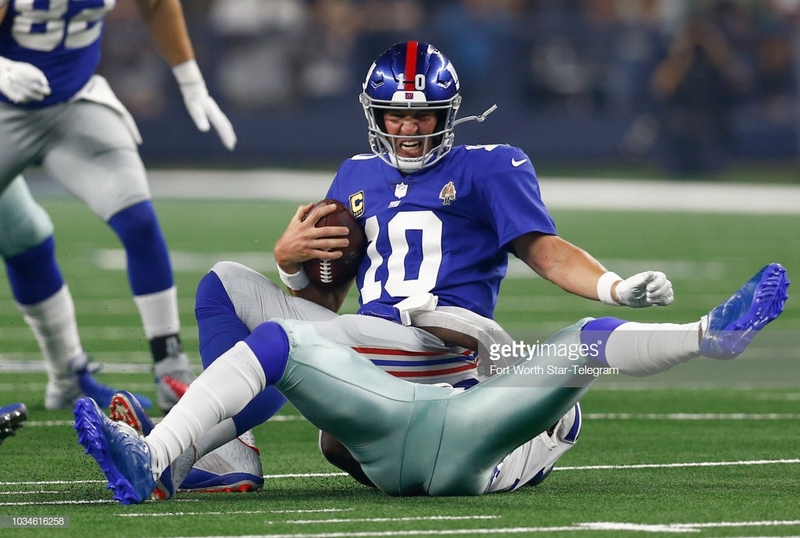 Clearly the pressure of DeMarcus Lawrence and Dallas defensive line flustered Eli Manning. For much of the night Manning was on the run, getting hit, or running like he thought he was going to get hit again. Racking up 8 hits on Manning, deflecting 3 passes, and getting pressure in the pocket on almost every play led to indecision and panic from the 2 time Superbowl quarterback. This is by far the best defensive performance in recent memory for the Dallas Cowboys. They seem to be finding their stride upfront with more help coming soon in Randy Gregory who is currently serving a suspension. The secondary seemed good enough to capitalize on the advantage they were receiving from their defensive line. Sean Lee was incredible as usual but did tweak his hamstring in the 4th quarter of the game. With a defensive performance like that in an NFL game this should of been a blowout. It wasn’t. Dallas took down the Giants 20 to 13 on the Cowboy’s home field. That score is only close because the offense for large portions of the game couldn’t muster much of anything. The Giants defense looked good, but not dominant. It was hard to not come away from drives in that game really questioning most of the game plan. Dallas had 4 scoring drives. The first possession of the game Tavon Austin scored on a 75 yard bomb from Dak Prescott. The secondary had a missed assignment and compound that with a safety taking a bad angle, led to the long score. The next drive for the Cowboys was a 64 yard drive that started at their own 17. It took 8 plays and led to a field goal. It featured a good mix of run and pass highlighted by a 19 yard run by Elliot. weren’t much help either dropping a handful of passes but at the same time watching some passes sail above their head. The Giants then fumble to open the second half which leads to a gift field goal for the Cowboys. Dallas had the ball on the Giant’s 27 but ran 6 plays for 19 yards, 4 of the plays went for 0 or negative yards. Their last real possession was by far their best possession of the game. This drive included a 4th down and 1 conversion. Prescott seemed to find a little rhythm and hooked up with Cole Bealsey 3 times on the drive. The play calling also saw a positive turn and featured more of Dak’s athletic ability featuring a few read options. On this dive Dallas gained 42 yards by running the read option, clearly something that gave the Giants defense fits late in the game. remove the field goal the defense gave the Dallas offense, really the Cowboys offense mustered 10 points against a subpar Giants defense. Prescott only managed 160 yards passing against 2 back up corners. Dallas went 3 for 10 on third down. The Cowboys had less first downs than the Giants offense. 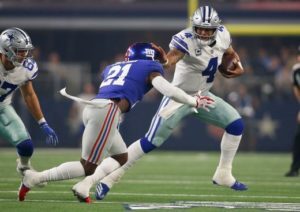 Dallas had the ball for 27:48 compared to the Giants 32:12. They were 1 for 3 in the red zone attempts. 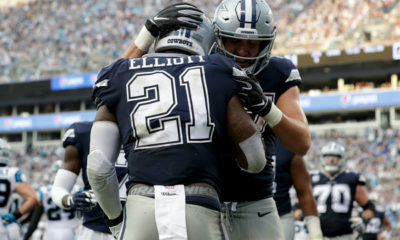 The Dallas Cowboys with Dak Prescott and Jason Garrett had an opportunity to make a statement with a dominating performance from their defense. They didn’t. They played.. Fine? They looked… okay? 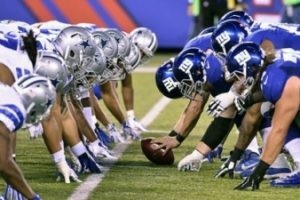 This game taught us a lot about how bad the Giants really are. It also showed us that Dallas might not be able to play week to week against the best teams in the NFL. It is almost funny to think back to those years where Dallas and Tony Romo were losing on a weekly basis with a great offense and a horrible defense. The team has seemed to flip. Much like those teams right now, it feels like however high their defense can carry them is their ceiling. 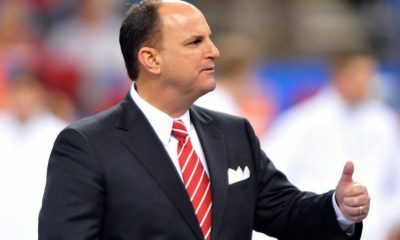 Their offense can’t seem to instill any confidence long term. There could be help on the way though. Josh Gordon has been in the news that he is either going to be traded or released by the end of the day on 9/17, Monday. 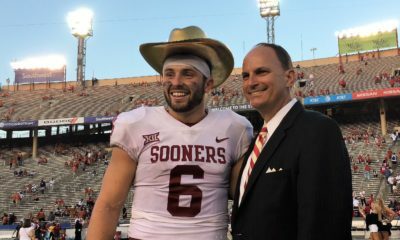 People close to Gordon have said that his top two choices include the Cowboys. It is really hard to know if Gordon has much left in the tank and add up what he brings off the field.. It could be a big risk for the Cowboys. At this point though, a risk of that magnitude could be well worth it. Dallas sets off for a week 3 Sunday matchup at the Seattle Seahawks. 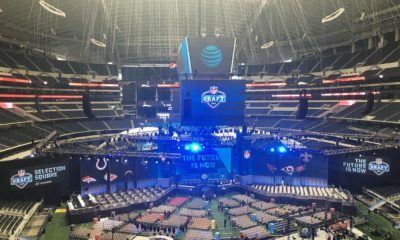 This game will be on Fox at 3:25pm as well it will be broadcasted on 107.7 The Franchise. Seattle come into the game struggling and could give the Cowboys another chance to make a statement.